Introduces & explores the history of world music! 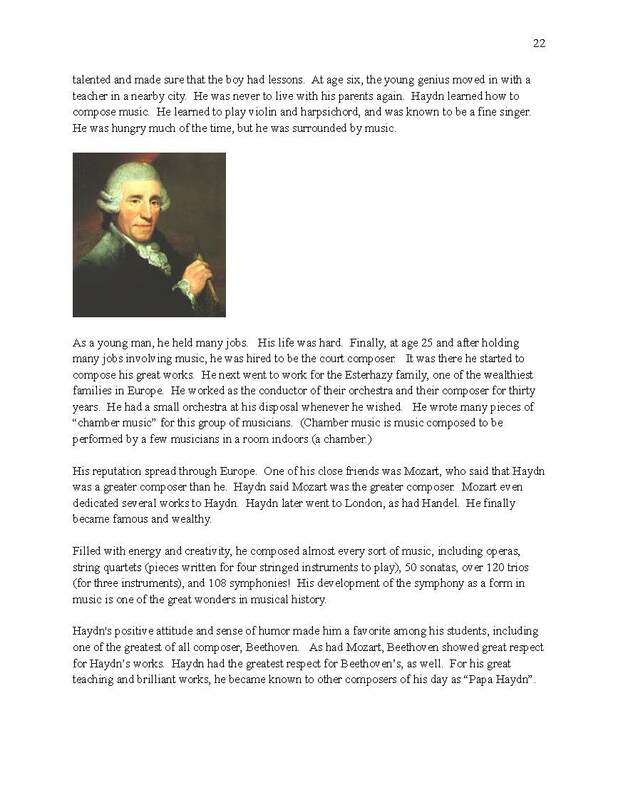 Introduces major composers and types of music! The first history course in the final (fourth) semester of Step 2 history, for ages 7-8, and for students of any age who are developing literacy. 20 huge lessons. Seven weeks of intensive study about the history of music. Bach, Beethoven, Brahms, Mozart, Stravinsky...dozens of composers are investigated, their lives looked at and their works watched and listened to, using around 100 links to freely available performances on the Internet. 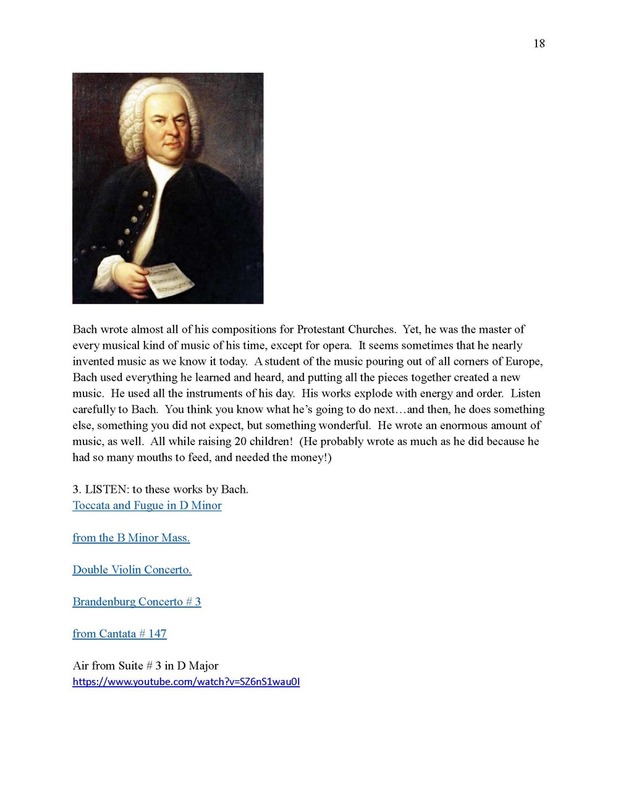 A music appreciation course for young students that will open up the world of music from the Baroque to today.